Whether it’s the anxiety of romance, the feeling of utter despair or an exercise in soothing ruffled feathers, his soulful rendition captured varying sentiments with inspiring precision. It wouldn’t be an exaggeration to state that the rich timbre of Prabodh Chandra aka Manna Dey’s voice unfailingly lifted the character of a song from good to great. Though strangely, never as prolific or decorated as his contemporaries during his active years, Dey’s body of work is much too exquisite to fade with time. If anything, the Padma Bhushan and Dadasaheb Phalke recipient’s eminent range is an embodiment of what makes him so cherished. The legendary singer passed away in Bengaluru today, October 24, in Bengaluru. He was 94. Here’s remembering some of Manna Dey’s greatest hits. 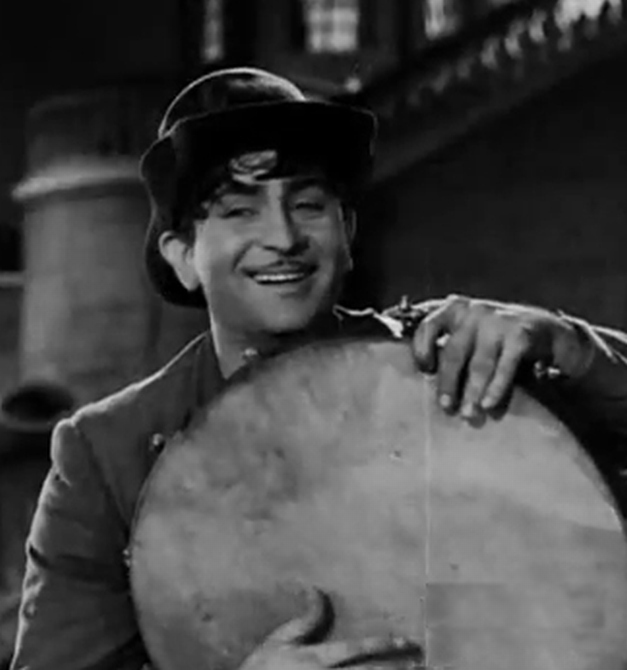 The simplicity of Shailendra’s lyrics and Dey’s free-flowing delivery blends seamlessly to create on screen magic with Raj Kapoor in the 1955 classic, Shree 420. 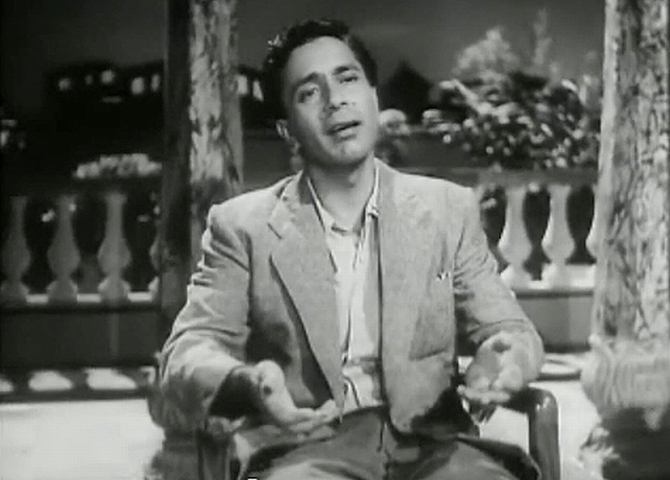 Dey benevolently meditates over the almighty’s endless capacity for affection in Shankar-Jaikishan’s sublime devotional melody for Balraj Sahni’s kind-hearted soul in Seema. 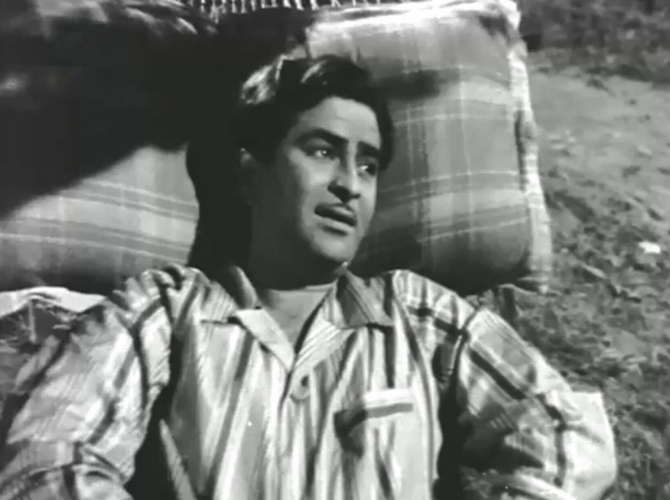 Dey and Mohammad Rafi engage in poetic jugalbandi over the pros and cons of love in the electrifying qawaali, Yeh ishq ishq. Staged competition aside, Rafi was admittedly a huge admirer of Dey’s singing. Dey joins Kishore Kumar’s lively approach and compliments it perfectly with his own brand of humour, providing playback for his co-singer’s brothers – Ashok and Anup Kumar in its groovy title track. 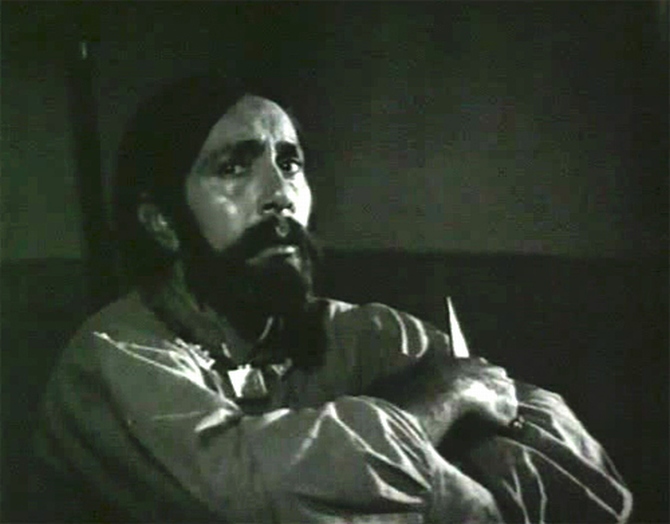 The singer brings out the emotional side of patriotism through a common man’s ardour in Prem Dhawan’s poignant words (in Kabuliwala). 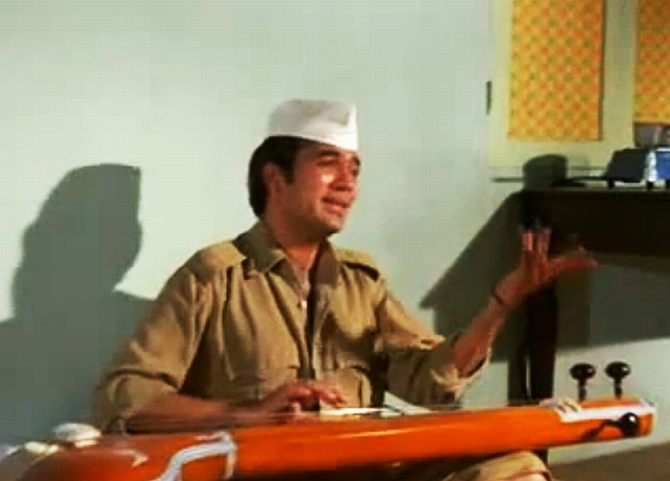 He’s equally adept at capturing the spirit of a war-bound soldier in Prem Pujari’s Taaqat watan ki hum. The pathos conveyed by Dey in the classical albeit melancholy seeped gem, Poocho na maine kaise is most delicate and intricate. 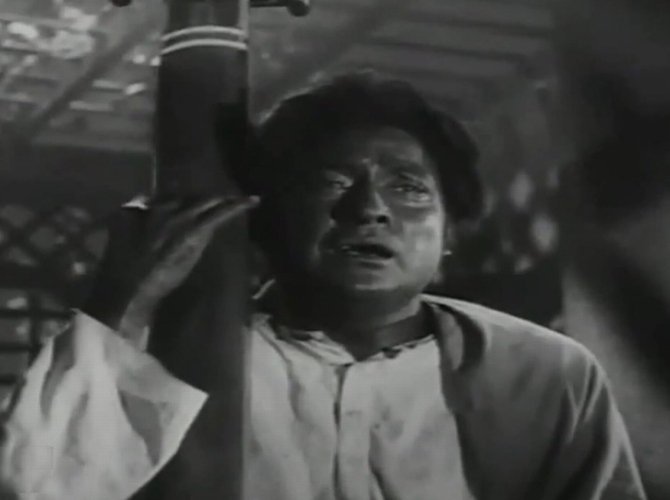 But the singer handles the complexity of S D Burman’s sur with the insight of a genius. 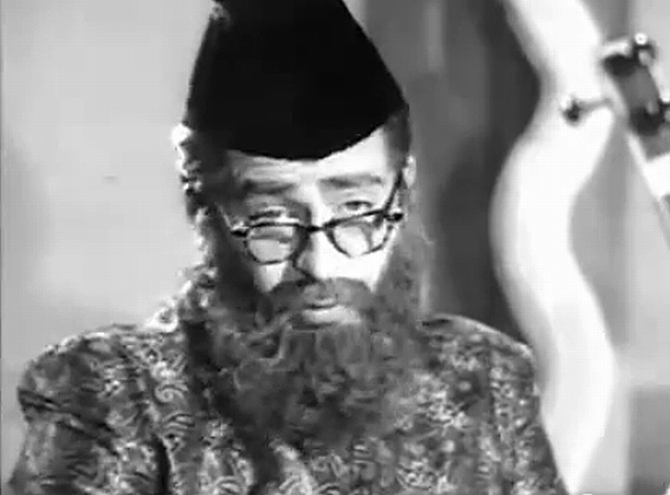 While Raj Kapoor masquerades as a cheery old guy on screen, Manna Dey plays the sonorous alter ego behind it with his masterful alaap of the evergreen, Laaga chunari mein daag penned in Sahir Ludhianvi’s profound ink. 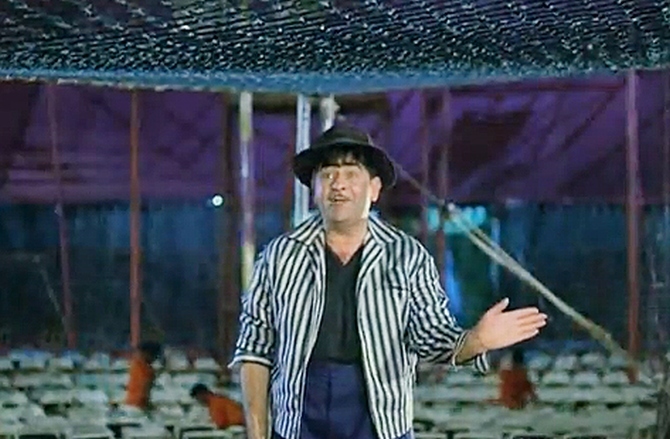 Dey shakes things up with his rocking performance in Rahul Dev Burman’s Beatles-inspired ditty, Aao twist karein for Mehmood and his Bhoot Bungla. Encore? You bet! 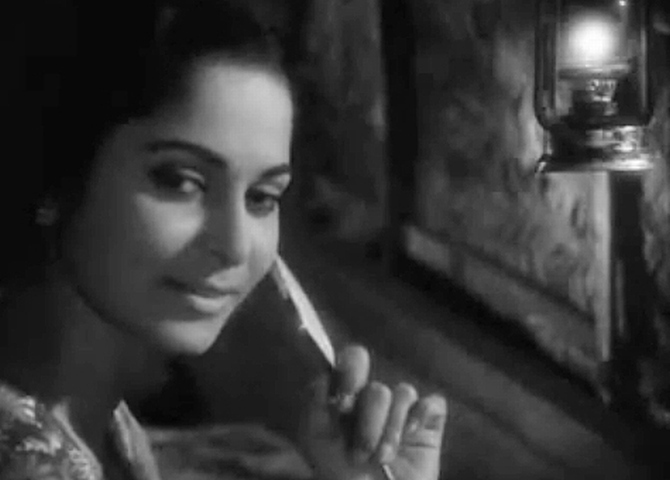 Romance simply trickles in Dey’s dreamy rendition of Shankar-Jaikishen’s timeless love song in company of the mellifluous Lata Mangeshkar for the Raj Kapoor-Nargis dream combo on silver screen. The singer duo team up yet again, this time for RD, in Nasir Hussain’s Baharon Ke Sapne. The song is Chunri sambhal and Dey’s playful yoodle-ing and ‘arra ra ra ra’ is what further elevates this infectious number. 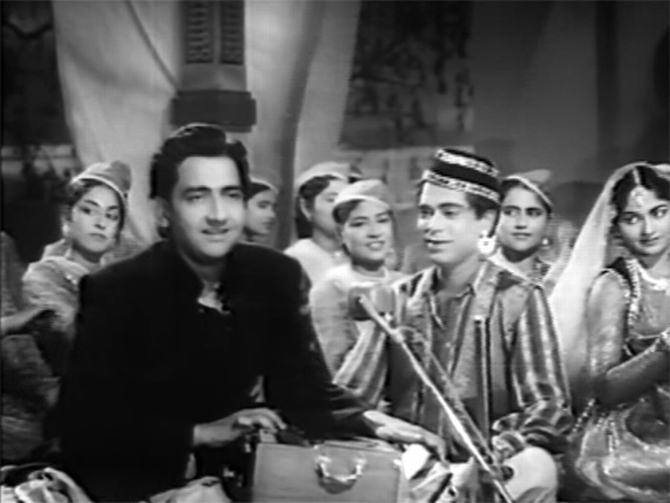 The magical team – Dey-Raj Kapoor-Shankar-Jaikishen-Shailendra- strikes to win over its listeners in Teesri Kasam’s sprightly folksy track, Chalat musafir moh liya re, indeed. 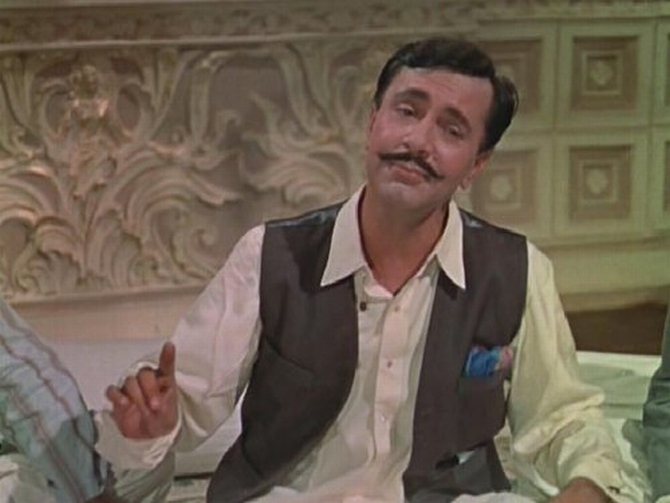 The zingy score of Ravi sparkles even more around Manna Dey’s dazzling expression of a besotted husband, played by Balraj Sahni, in Yash Chopra’s superhit multistarrer, Waqt. 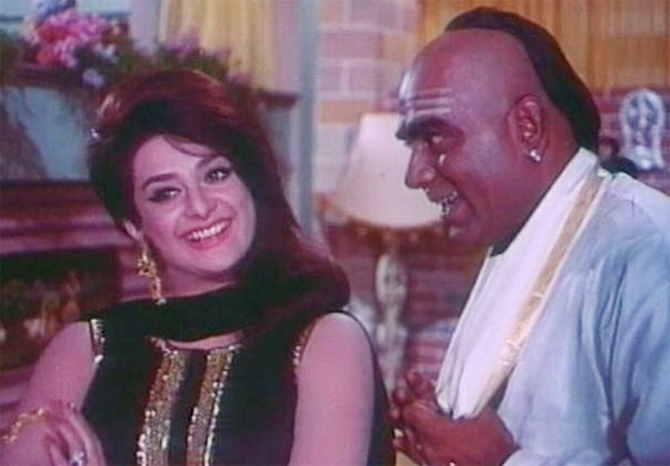 In this little-remembered romance from the late 1960s, Shammi Kapoor’s on screen lunacy and Manna Dey’s off screen madness engage in the unabashedly silly Meri bhains leading to all-round hilarity. 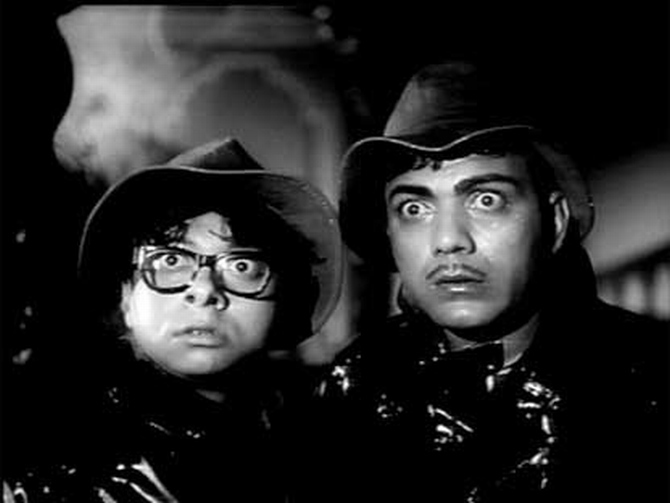 Certainly, RD Burman’s Ek Chatur Naar is a popular instance of Dey’s proficiency at face-off numbers but his skills are more pronounced in the uplifting notes of his animated solo Aao sawaariya, even doing the impossible of distracting from Mehmood’s clumsy antics on screen. 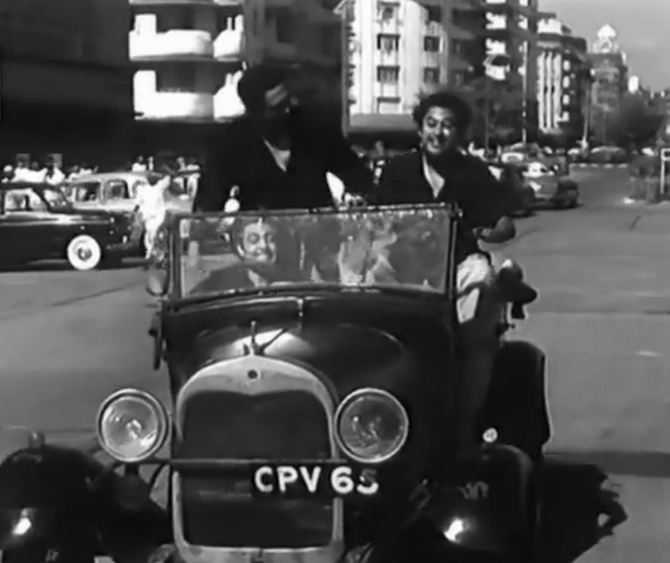 The ever-effective pair of Manna Dey and Raj Kapoor direct us how to avoid bumps in life with this seemingly cheery but metaphor-rich Shankar Jaikishen creation from Mera Naam Joker. 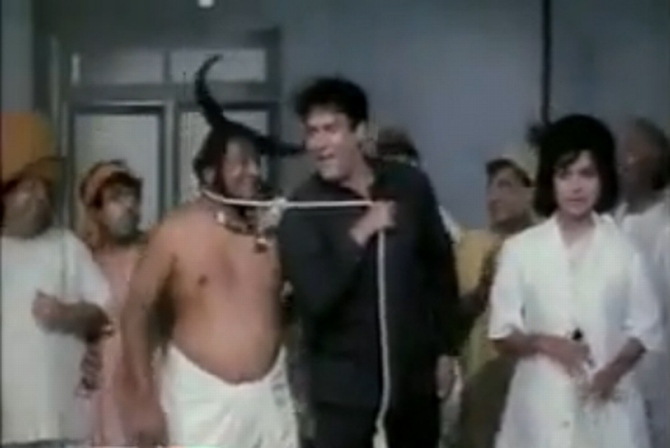 Bawarchi may be best remembered for Rajesh Khanna’s resourceful tactics. But it’s got a lot more to offer. Like how Manna Dey transports his listener into a trance with his affecting appeal in this underrated melody composed by Madan Mohan. 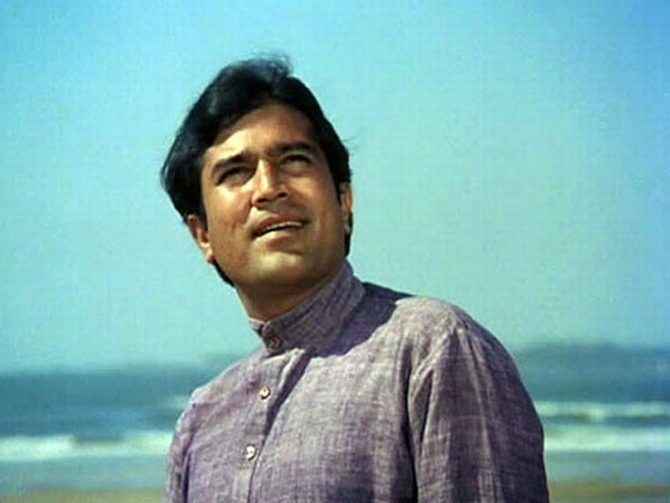 Everyone’s a winner between Salil Chaudhary’s immortal composition, Yogesh’s contemplative poetry, Manna Dey’s velvety smooth rendition and Rajesh Khanna’s breezy demeanour. Pure Anand, this. 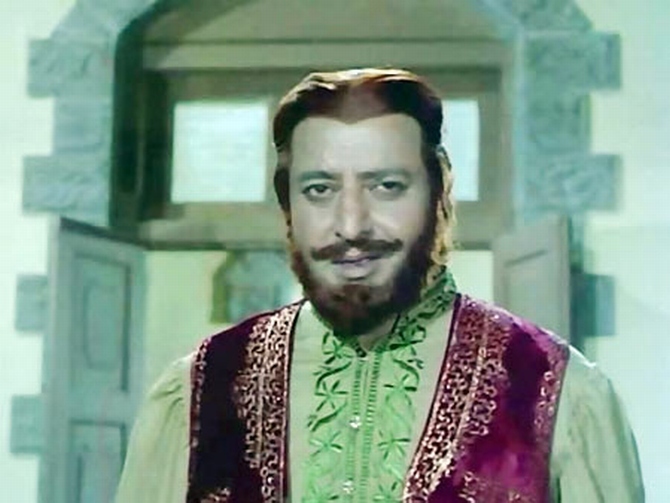 And Manna Dey rises to the occasion as Pran’s exuberant voice for one of Hindi cinema’s most popular songs on friendship. He successfully brings out the Pathan roots of the character he’s singing for without making it obvious or jarring -- mark of a great talent. Manna Dey: My songs were composed with me in mind.